Used to transfer prisoners from pre-3.0 to 3.0+ without having to free them. Fixes exterior conflict with Aurora Village and/or Moon and Star mod(s). 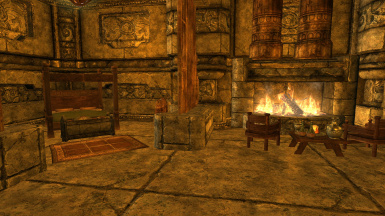 Adds a new max security prison in Solstheim, a small jail in Raven Rock, and some features to the prison. Adds a second prison for you to conquer and use to expand your imprisoning capabilities. There is a small quest to reclaim the prison before you can use it. Arena improvements, fixes on the backend. Added head remover, added immersion options, updated control room, other stuff as usual. Updated control options, updated guards, fixed/improved stuff. Added guard variation, added cell relocation capability, added information messages, added immersion options (see control room), added/updated guard controls, updated navmesh, improved patch support, lots of script updates. Added Cell Block 2 as part of the main file (togglable), added control options for dead de-spawning, added ship access next to prison. Added arena spawn options, updated support for add-on 3, patches/changes to make continued development easier between Skyrim and Skyrim SE. Updated guard mechanics, other small updates/bug fixes. Added ability to send prisoners to mine, created more stable arrest system (finally fixed all those arrest problems), updated mine production, fixed prisoner interaction with cell, fixed prisoners changing problem, fixed spectator prisoners/guards from running around in arena, script updates and optimization, support for Add-on 3. Made ship "sailable", added Thalmor guards and banners, script updates. Added quick arrest, added armory production chest, fixed resurrecting dead actors glitch, fixed other unique spell problems. Added flame chamber, added more spawn options to arena, updated lighting, fixed disarm spell, small script updates. Added direct arrest to holding cell, fixed disappearing prisoners problem, fixed shock torture chamber, added option to remove prisoner items on arrest, script updates. 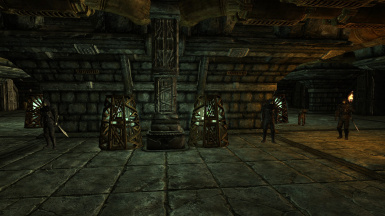 Added guard armor choices, added Imperial/Stormcloak banner options, added mine, added 2 optional spells, bug fixes. Semi-overhaul of the mod, lots of changes. 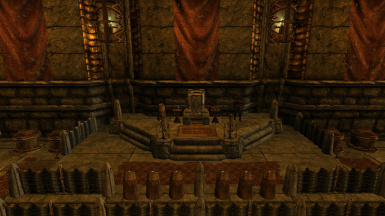 Added Thalmor guards and banners, updated and condensed control room. Removed Warden's Cell, support for downsize add-on. Fixed LOD and exterior loading for all prison exteriors. Added Prison of Agony, added prison ship, added armory, updated "Remove Items" spell, updated cell block doors. Extended spear range in torture chamber, fixed spell resistance, race mod(s) patches no longer needed. Torture chamber fully operational, added spectators to the arena. Added more arena options, added female torturers, updated arena control system, script updates. Spell system overhaul, condensed mod down to 8 spells, support for Add-on 2. Fixes Draugr dead bodies in arena. Added Draugr to the arena, added maximum security cells, added patrolling guards to cell block, added background music, updated armor for Imperial guards, fixed Dread Tower floor. Added "Remove Items" spell, updated arrest spells, fixed release prisoner spell, support for race mod(s) patches. Added arena spawn options, updated control room buttons, fixed female guards. 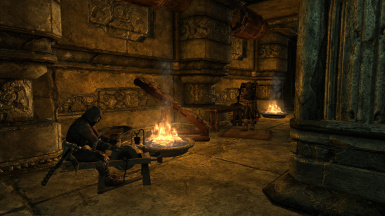 Added female guards option, added prison carriages, added room markers, updated Warden's cell, updated torture chamber, updated spells, fixed Thalmor/Bandits not going to cells. Added "Free Prisoner" spell, updated torture chamber, updated navmesh, fixed teleport spells, fixed arrest spells, fixed Dread Tower glitches. Welcome to Dread Prison, the new and improved Prison of Despair (old version of this mod). 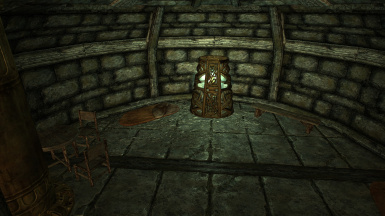 Send anyone in Skyrim, including Nazeem, to your own personal prisoner, where you can watch them rot behind bars forever. You can send your prisoners to the mines to gather resources for you, or have them fight in the arena. Become the new Warden and discover all the prison has to offer for yourself. Also on Skyrim SE. The cell block is the most important part of your prison. It has 20 cells where you can imprison anyone that you want. To imprison someone, simply use the "Dread Prison - Arrest" spell and use the on screen menu to pick which cell they will be sent to. There is also an available second Cell Block (toggled in control room) if you wish to expand your imprisoning capabilities. This will grant you 12 more cells in the prison. 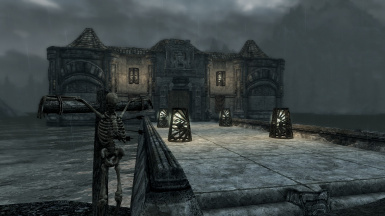 The arena is where you can force your prisoners to fight each other or you can go in and challenge yourself. You are able to send whichever prisoners you want into 3 different "groups". These groups will then fight each other when you open the gates. 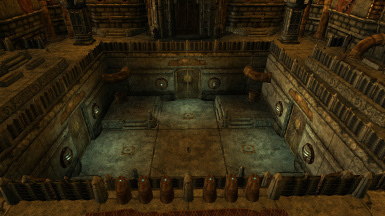 You can also spawn many different enemies or set off traps to make the fight more interesting and the arena more deadly. Sometimes you may need to give the prisoners a little "kick" by spawning in a couple enemies to get them going. To send prisoners to the arena, simply use the "Dread Prison - Arena" spell. The torture chamber has a holding cell, as well as three torture chambers for you to satisfy all your torturing desires. Send any prisoner to the torture chamber by using the "Dread Prison - Torture" spell. You also have the ability to enter the torture chambers to clean out any of the bodies that may pile up, simply use the lever next to the activation button. 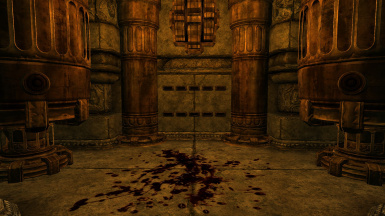 Be warned - don't forget to turn off the chamber before entering, or you may suffer the same fate as your prisoners. The Dread Tower and Prison Ship are two small satellite prisons of the prison. They have a few cells and can act as good outposts if you need to keep certain prisoners in isolation from the others. 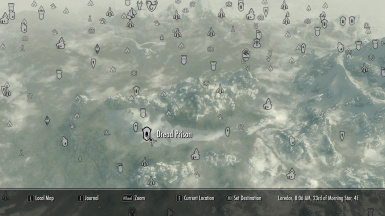 Dread Tower can be located on the road between Rorikstead and Whiterun, and the Prison Ship is in the Sea of Ghosts. 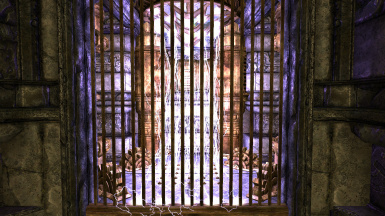 People can be arrested to these cells using the "Dread Prison - Arrest" spell that you use for the cell block. Both the tower and the ship can be disabled from the control room; in the event you do not wish to have it, or it conflicts with other mods. Beyond the torture chamber is the maximum security cell block. Here you will find 5 cells; 2 high priority cells and 3 average cells. This cell block has its own elite guards to contain the most dangerous of prisoners. 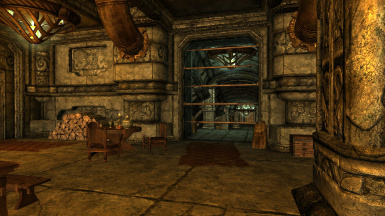 To arrest people to this part of the prison, simply use the same arrest spell as for the cell block. The control room gives you the ability to customize certain parts of your prison, and as features are added, the control room will grow. Head on over here if you want to change things like guard and banner options. The mine is just past the torture chamber next to the maximum security cell block. The mine has a daily production that is determined by the number of prisoner you have in the mine. The daily production can be collected from the chest in the mine (just after you enter, to the right). This is your own private living space in the prison. As the warden, you are the only one living comfortably in this stronghold. Explore it for yourself, but a notable feature is the chest in the back left of your quarters. All items confiscated from prisoners (using the Disarm spell) will go into this chest, allowing you to take all the loot without a fuss. Above are the main features, there is more for you to discover (most of which is also self-explanatory). 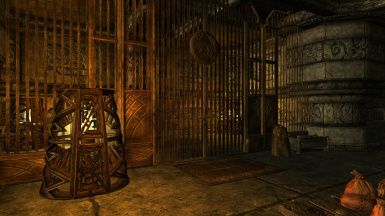 Hop in and check everything out in Dread Prison for yourself, as the new warden. 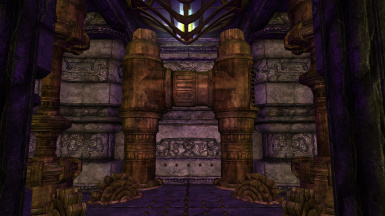 -Add-on 1: Prison of Agony - Adds a second prison for you to conquer and use to expand your imprisoning capabilities. There is a small quest to reclaim the prison from bandits before you can use it. -Add-on 2: Cell Block 2 - Now part of main file. 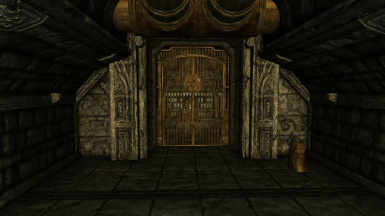 -Add-on 3: Solstheim - Adds a new max security prison in Solstheim, a small jail in Raven Rock, and some features to the prison. 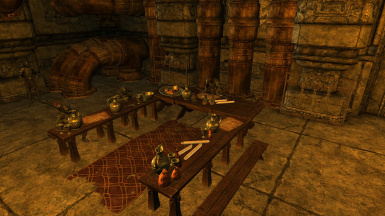 -Be careful if cleaning with TES5Edit, do not clean anything relating to navmesh. -A clean install is required if updating from 2.3- to 3.0+. -You may be missing spells if updating from 3.6- to 3.6+. This is okay and is due to spell updates. There is a button in the control room to get the spells again. -Aurora Village - Moon and Star: Fixes exterior conflict with Aurora Village and/or Moon and Star mod(s). -Download the main file and other optional files of your choosing. -Go to C:\Program Files (x86)\Steam\SteamApps\common\Skyrim. -Merge the "Data" folder in the zip file(s) with the data folder in the above Skyrim directory. -If asked about overwriting older Dread Prison files, say "yes to all" (copy and replace). -Launch Skyrim and click on "Data Files", make sure the Dread Prison files you have are in the correct load order as seen below. -Go somewhere not near the prison, save and exit Skyrim. -Delete DreadPrison.esm, DreadPrisonAddon(s).esp, and DreadPrisonPatch(s).esp. -Also delete the .bsa(s) for the files listed above, and you're good to go. -3.7: Added ability to send prisoners to mine, created more stable arrest system (finally fixed all those arrest problems), script updates and optimization, improved prisoner interaction with cell, changed mine production mechanics, fixed prisoners changing problem, fixed spectator prisoners/guards from running around in arena, support for Add-on 3. -3.7.1: Small fixes/updates of scripts. -3.7.2: Updated guard mechanics, other small updates/bug fixes. 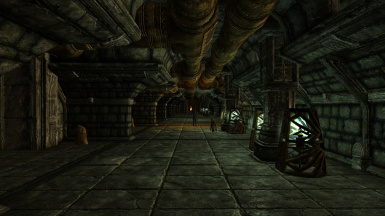 -3.8: Added arena spawn options, updated support for add-on 3, patches/changes to make continued development easier between Skyrim and Skyrim SE. -3.9: Added Cell Block 2 as part of the main file (togglable), added control options for dead de-spawning, added ship access next to prison. -4.0: Added guard variation, added cell relocation capability, added information messages, added immersion options (see control room), added/updated guard controls, updated navmesh, improved patch support, lots of script updates. -4.0.1: Fixed arena script errors. -4.1: Updated control options, updated guards, other improvements. -4.2: Added head remover, added immersion options, updated control room, other improvements. -4.2.1: Arena improvements, other improvements. Donkeywho, LordTrinen, and SecretzRUs for the great feedback they have provided throughout the creation of this mod.